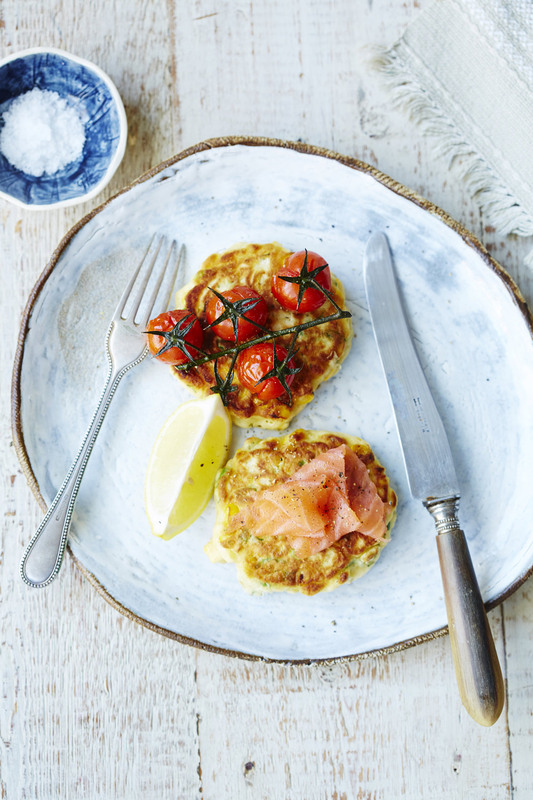 Perfect for a brunch or light lunch these fritters are a winner and so easy to make. Combine corn, flour, shallots and dill in a large mixing bowl. Use a fork to beat together eggs and milk in another bowl. Whisk into corn mixture to make a batter. Heat a large non-stick frying pan over medium heat. Add 1 tbsp of auzure Canola Oil. Drop in 2 tbsps of batter to make a fritter and cook 4 fritters at a time in the pan. Cook for 2 minutes on each side or until golden and cooked through. Transfer to a plate and keep warm while you cook the remaining fritters. Reheat the pan and add the last tbsp of auzure Canola Oil. Cook the tomatoes over medium heat for 2-3 minutes or until soft. 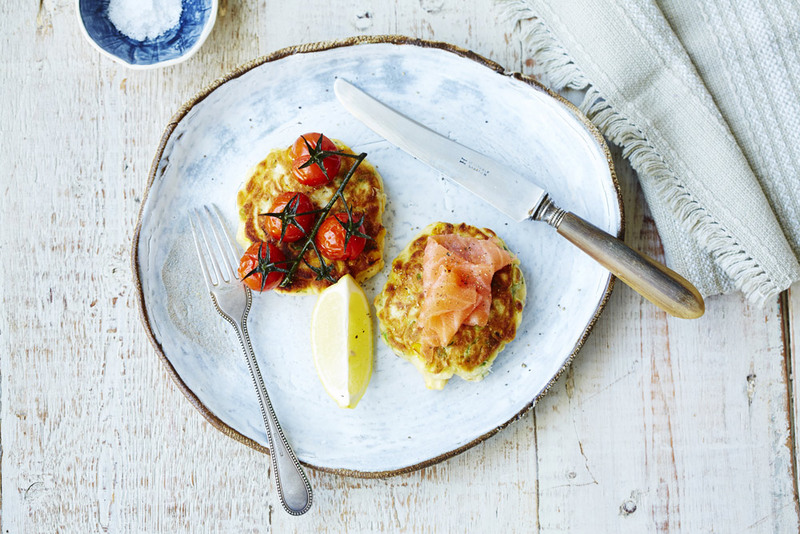 Serve the tomatoes and smoked salmon with the fritters.